SOLD OUT A package contains approximately 10,000 worker bees, with a queen in a cage. Packages can be installed into a Langstroth, Top Bar, or Warre Hive. LOCAL PICKUP ONLY. 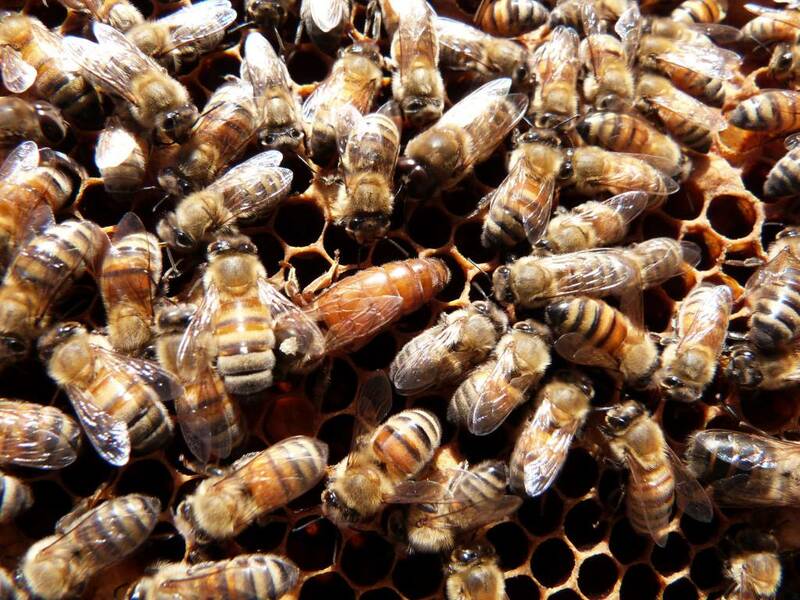 A package contains approximately 10,000 worker bees, with a queen in a cage. Packages can be installed into a Langstroth, Top Bar, or Warre Hive. They will come in a plastic screened box that can be purchased for $5 or returned to the store. This is our best recommendation for repopulating "dead outs", top bar, and other styles of hives. We start taking orders in December, and expect packages to start arriving in late March/throughout the month of April. Click here for a downloadable handout about our nucs and packages this year. Please call the store at 828-484-9466 if you have any questions! We begin taking orders Dec. 1, 2018. Payment is required in full to reserve your bees. A nucleus colony (“nuc” for short) is 5 drawn-out frames in a temporary cardboard box*, complete with honey and brood. They come with an accepted, laying queen + worker bees. A deep nuc will fit with deep Langstroth hive boxes. This apiary spends summers in New York and winters in South Carolina. We are expecting them to come in throughout the month of April. *We are not asking for the boxes back this year. They are yours to keep! You can return them to the store if you have no use for them, however. A package is a screened box* containing approximately 10,000 worker bees, with a queen in a cage. Packages can be installed into a Langstroth, Top Bar, or Warre Hive. Our packages will come from hives in Franklin NC. We are expecting them to come in late March/throughout the month of April. *You may purchase the plastic screened box for $5 if you would like to keep it, otherwise the box must be returned to the store in a timely fashion. P r o s a n d C o n s ? Packages will have a more predictable pick-up date. Once we set a date, you can pretty much plan on it. Nucs are less predictable in this way - since beekeepers read the cues of their hives and split into nucs when the season is right, the date can vary drastically based on what our winter and spring looks like. Nucs come with the head start of bees at all life stages. Because of this, they will frequently have a faster build-up after installation, instead of taking time to draw out wax and produce brood. But packages can quickly catch up to nucs with consistent feeding and have lower initial mite loads because of the break in the brood cycle. All in all, there is no incorrect option! Buying bees is like having a baby! They are live animals, and we are at the whims of the weather and their own life cycle. 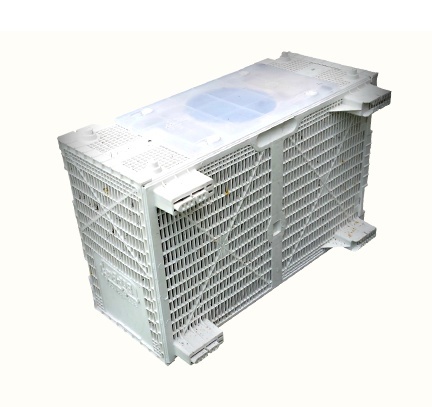 If we have a cold spring, your nuc or package may be late. If we have a warm spring, they may be early. Please understand that we set a due date for your estimation, but it is just that - an estimation. If you order a package, you will generally have a 1-2 day window for pickup. The packages will survive for about that much time, inside of our store or outside, depending on the weather. The longer they sit, the more bee mortality you will see. Honey and the Hive does not assume liability for delayed pickups. We will give you as much notice as we possibly can, and from there it is in the hands of the beekeeper to move their package to safety. If you order a nucleus colony, you may have shorter notice. The window for nuc pickup will always be in the morning, generally between 8-10am. Our staff wakes up before the sun and seals up the box to get your bees ready for transport. A nuc generates so much heat that honeybees will perish if they are not opened by the heat of the day - generally between 10-11am. If you do not make it to pick up by 10am, your nuc will be opened or given to somebody else, and your pickup will be bumped. DO NOT PLAN TO TAKE TRIPS AROUND THE TIME OF DELIVERY. This usually means the months of April, May, and the first part of June. By ordering bees you are responsible for adapting to the pickup times and locations as scheduled by H&H. CHECK YOUR EMAIL REGULARLY and MAKE SURE YOUR VOICEMAIL IS SET UP AND ACCEPTING MESSAGES. If we can’t reach you, you will not get your bees! Please read emails thoroughly, and respond as instructed. Honey and the Hive does not claim responsibility for your education and preparation. We try our best to support beekeepers on their journeys, but we also sell over 1,500 colonies of bees each year! We STRONGLY recommend taking a class, joining your local bee club, and finding a mentor. Payment is required in full to reserve your order. No refunds (These are live animals and you are committing to their care). No Specific queen requests. Marked queens may be available on a first-come-first-served basis for NUCS. I have thoroughly read the above and completely understand that Honey and the Hive cannot guarantee the date of pickup. I understand that by making this order, it is my responsibility to tend to the schedule and needs of these living creatures.